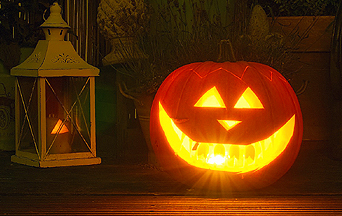 The American TFP > Catholic Perspective > Can Halloween Be Christianized Again? As Halloween approaches, the debate over whether Catholics should join in the celebrations has reignited. Many claim it is a harmless holiday for children that Catholics may freely participate in. Others affirm that it has now descended into dark regions with the return of pagan and Satanic imagery; it should thus be off limits. And then there are those who look for a third way to approach it somewhere in-between. They propose alternative celebrations, All Saints Day commemorations or fall festivals. In this way, Halloween, an originally Catholic feast, can be “re-Christianized” and re-purposed to promote the Faith. They hope to turn Halloween into a teaching moment for all good Christians. Finding a Christian way to celebrate Halloween is a problem for many parents. Halloween cannot be ignored. Their children will necessarily be exposed to it. However, another point cannot be ignored. The darker celebrations of Halloween glorify the occult, the bizarre and the macabre. New developments in costumes make zombie-like outfits much more realistic and horrifying. The increasing popularity of Satanic movements like Wicca has helped popularize Halloween as sacred. The modern focus of Halloween is increasingly focused on a fascination with evil, horror, and gore. Ironically, a liberal society that deplores the rise of violence and abuse in other fields makes few objections to this bloody and macabre holiday. Thus, finding a third way can only succeed if a Christian purpose and meaning of Halloween can prevail over today’s setting of the tone by the macabre. Those looking for alternatives need to go back to the festival’s roots, both pagan and Christian, to see if something might be salvaged. The remote origins of Halloween are problematic. There is no denying that Halloween is rooted in the Celtic fall festival of Samhain. It involved many superstitions and occult ceremonies directed toward the Druid lord of death. Some historians claim the Druids practiced human or animal sacrifice and even occult orgies to mark special festivals. In this case, dressing up as evil spirits and demons was part of the celebration. The ghastly and even toxic aspects of the pagan feast certainly stood in need of being baptized. Indeed, the Church responded to such opportunities to overturn the idols and rid peoples of superstitions. Many times, missionaries would take advantage of the habit of celebrating special pagan feast days to institute Christian feasts or holy days in their stead. This is exactly what the Church did to Halloween. In the ninth century, this pagan festival was replaced by a double day celebration remembering all the dead who are saved: All Saints Day remembers those who are uncanonized in heaven so that they might have their feast, too. All Souls Day remembers the poor souls who are saved from the eternal fires of hell yet are suffering for a time in purgatory. On the eve of these two feasts, the bells would ring, and town criers would remind all to pray for the poor souls. Thus, on All Hallows Eve, later Halloween, children from poor families would go door-to-door, receiving food and sweets in exchange for praying for the souls of the dead. This “souling” as it was called, gave rise to canvassing for “soul” cakes which became part of the tradition. Harmless pranks awaited the stingy givers. Halloween was thus a feast that benefited the poor on earth and those who were so much poorer in purgatory. It was a time of mirth but also great charity. While there are times of penance and fasting in the liturgical year, there are also times of joy. The Church as a true mother provides the faithful with festive days of feasting and merrymaking. Thus, the Church has no problem with merrymaking with people dressed up in costumes to visit neighbors. In medieval Europe, it was very popular for people “to go mummering,” the practice of visiting neighborhoods while dressed up in disguises. The revelers would sing, feast, and play tricks in return for refreshment, money or good wishes. Such mummering was very popular on major feast days, of which there were many, in the Middle Ages. They did not degenerate into rowdy or bawdy festivals like those which plague today’s de-Christianized Mardi Gras or other such feasts. In Protestant Europe and America, Halloween was on the prohibited index of religious practices in colonial times, a list that some radical sects extended to Christmas. It was not observed until Irish Catholic immigrants in the nineteenth century brought the custom with them to their new homeland. In the twenties, a secularized version of Halloween was introduced with the practice of trick or treating. It gradually gained traction and acceptance by the fifties. However, the more recent celebrations have stressed its pagan origins with its preternatural and ghoulish overtones. It has combined with slasher and horror films and zombie-themed parties and events to make it a festival of darkness embracing the evil side of the spiritual world. Thus, Halloween has returned to its pagan origins and abandoned those of Christian charity. It no longer belongs to the poor but to those engaging in amusement and self-indulgence. Once the feast of innocent little children, it now includes reveling adults. Those who celebrate do not pray for the salvation of poor souls but harbor instead a diabolical glee over damned souls. The question remains if Halloween can be re-Christianized in today’s world. Resourceful clergy and parents have found alternatives that capture the imagination of children. Many of these include parties in which children dress up as saints or religious figures as a way of celebrating All Saints Day. 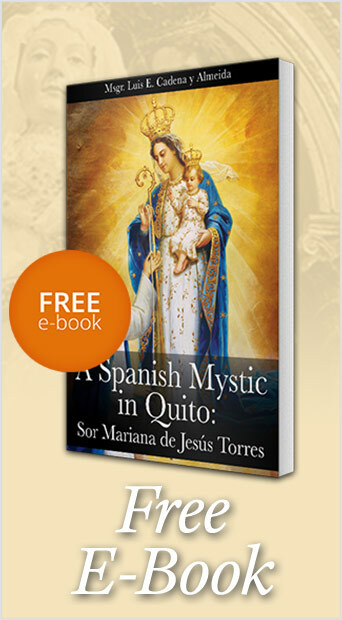 These alternative events can be helpful in imparting some Catholic culture to children. But they can only go so far. Such celebrations cannot compete with the super-charged media promotion of today’s neo-pagan Halloween. Children will be exposed to the ghoulish side of Halloween in stores, schools or the house decorations in their neighborhood. Like other aspects of modern culture, they cannot be ignored, or Benedict Optioned out. Arranging a peaceful co-existence between Catholic and pagan celebrations of Halloween is bound to fail since it does not address the need to fight against evil. It prepares the child for defeat later in life, since all must eventually confront the reality of evil without the help of others. That is why the only real way to re-Christianize Halloween is to reject any peaceful co-existence in these cultural matters. This will happen when clergy and parents teach children to confront the world they cannot ignore or avoid. They must delve deeply into the Faith. Children must be fortified by sacramental life and prayer to engage in this battle in a manner appropriate to their age. Thus, any Christianized celebration of Halloween needs to reinforce the idea that there is a cultural battle going on between the forces of good and evil. Hell exists, and its fires must be avoided. What better way to demonstrate these truths than to point out the macabre manifestations of evil that appear everywhere during Halloween. It could also serve as an occasion to point out the victory of the saints over the evils of their day. The eve of the Church’s two holy days may once again become a time to make merry and eat sweet soul cakes while praying for the poor souls suffering in purgatory. A Soul Cake recipe can be found here. This entry was posted in Catholic Perspective, Fighting the Culture War and tagged All Saints Day, All Souls Day, America, Catholic, charity, children, Christian, Church, feasts and festivals, good and evil, halloween, origins, pagan, paganism, poor souls, purgatory, secularization by John Horvat II. Bookmark the permalink.